It's time for a new game! 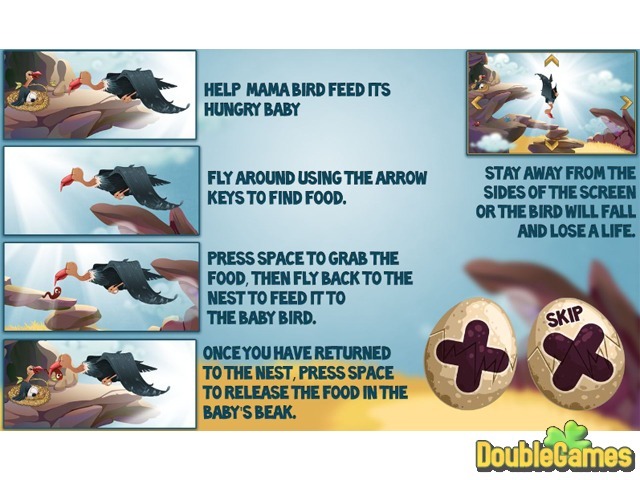 Welcome to Bird's Nest, the online adventure where the Eagle mama bird needs your help for keeping her precious baby well fed. 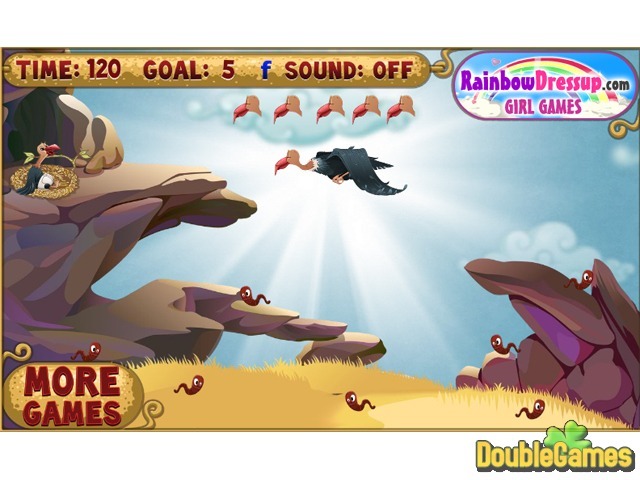 Its favorite food, worms and mice, are not really easy to hunt, so team up with the loving mommy and help her effectively use her flying and hunting skills! Bring as many yummy foodies to her adored baby as it needs for growing into one healthy, strong eagle! Make sure mama bird don't fall on the ground, otherwise her children risk to starve. Play Birds Nest absolutely for free on our website and have fun! 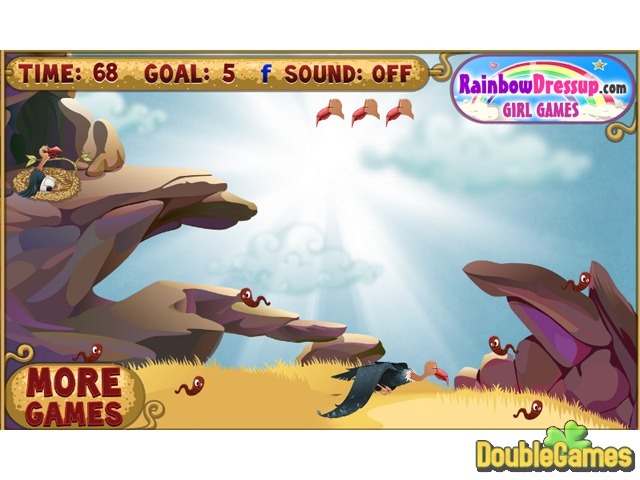 Title - Birds Nest Online Game Description - Release your tension with Birds Nest, a Arcade & Action game published by RainbowDressup. Help Eagle mama bird bring her little babies food!